1. 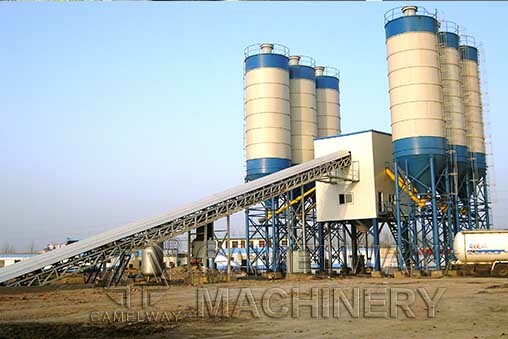 Concrete mixing plant should work in night, and the electric system should ensure that the headlamp be controlled flexibly. 2. The electric system should realize easy input, convenient operation and the accurate adjustment and modification of the setting point of every kind of material. Electric system must possess perfect self-locking and interlock function, which can ensure the reliable and accurate operation of the electric system. As for the commonly seen faults, electric system should be provided with faults detection and alarming function. 3. When the weighing system of concrete batch plant sets the zero output, the electric system can remove the tare and amend the gap. As for the single measurement of the single king of material, electric system should have a function of deduction and supplement, which can effectively control the measuring precision. Besides, the electric system should have lighting alarming device. 4. In the production of concrete mixing plant, the whole working process of electric system should be controlled automatically. In other worlds, in the construction sites of the production of the whole concrete mixing plant, only several operators can finish the whole processes.